Parades, BBQs, and coming together with family to remember those who gave the ultimate sacrifice is what Memorial Day is all about. It's a time to reflect and be proud of one's country. Here at Bellaochio, we want to celebrate Memorial Day by showcasing our favorite American designers. PLUS: Enjoy our sitewide 20% off Memorial Day sale starting today until the 28th! Tom Ford's talent goes beyond his work as a designer. He is also an accomplished director, screenwriter and film producer who wrote and directed the successful 2016 film, Nocturnal Animals. Before beginning his own line of luxury fashion and beauty, he previously worked as the creative director at Gucci and Yves Saint Laurent. Shop our Tom Ford collection here. 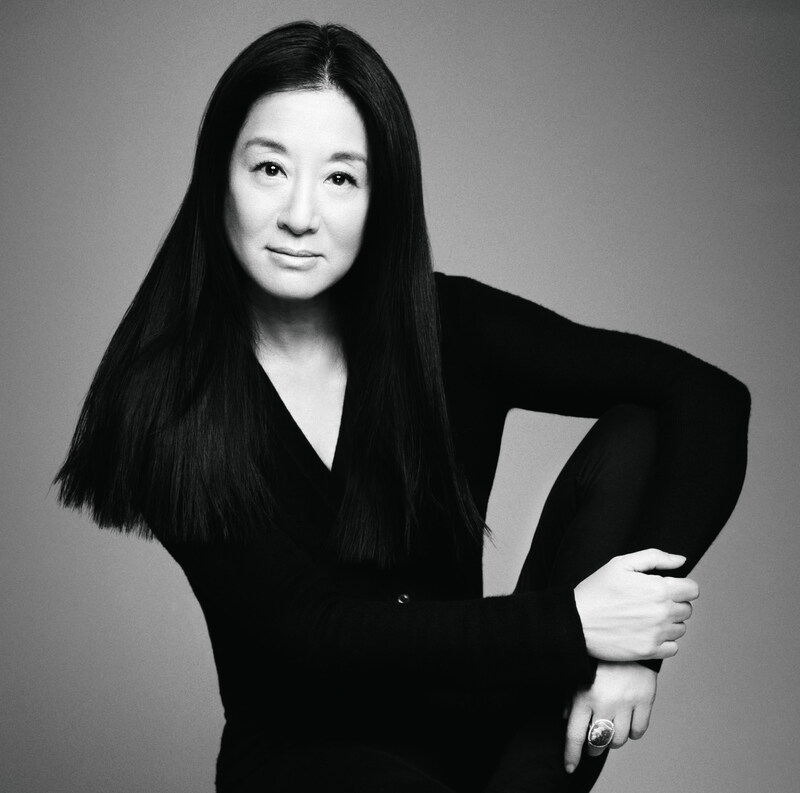 Vera Wang, well known for her gorgeous bridal gowns and designer clothing, initially had her career path set in figure skating. Wang started professional figure skating at age 8 and was featured in Sports Illustrated's Faces in the Crowd 1968 issue. When she didn't make the U.S. Olympics team, Wang decided to begin a career in fashion. Upon graduating from Sarah Lawrence College, Wang was immediately hired at Vogue, making her the youngest editor to ever be hired. She worked at Vogue for 17 years before leaving to join Ralph Lauren. She resigned a short two years later and started her independent bridal wear company loved by many around the world. Shop our Vera Wang collection here. Upon graduating from Parsons School of Design, Karan worked for Anne Klein, becoming the head of the Anne Klein design team, until 1985 when she created her own label. A short three years later, Karan expanded her luxury Donna Karan New York line to DKNY, a less expensive clothing line for young women. In 1992, Karan released her "cold shoulder dress" becoming one of the early pioneers of this popular trend. In 2015, Karan announced she would be stepping down from her company to focus on her lifestyle brand, Urban Zen which she began in 2007. Shop our DKNY collection here. After graduating from the University of Pennsylvania with a degree in art history, Burch moved to New York City where she began working for Yugoslavian designer, Zoran. She then began working at Harper's Bazaar, moved to public relations and advertising at Vera Wang, Ralph Lauren, and Loewe. Burch began her own fashion line, TRB by Tory Burch, known today as simply Tory Burch, in 2004. When she opened up her first retail store in Manhattan, nearly all inventory sold out the first day and with Oprah Winfrey's endorsement on her show, Burch became an overnight success. Today, there are more than 200 Tory Burch stores and 3,000 department stores carrying the brand worldwide where customers can purchase clothing, shoes, handbags, accessories, and fragrance. Shop our Tory Burch collection here. Micharl Kors has always had an eye for fashion and had his start in the industry while designing and selling clothing as a teenager. He enrolled at the Fashion Institute of Technology, but dropped out after nine months to work at a boutique. It was here that Dawn Mello, the creative director for Bergdorf's discoverd Kors' talent and asked him to show his personal designs to Bergdorf's buyers. Subsequently, he launched his line at Bergdorf Goodman then started his independent line in 2004. Known as one of the most successful designers in the world, Kors has dressed many high-profile figures such as Michelle Obama and countless celebrities. Today, Kors has over 770 stores and retailers carrying his brand. Shop our Michael Kors collection here. Ralph Lauren is a pioneer in preppy fashion. Lauren managed to take his idea for a menswear line which he named "Polo" into a multi-billion dollar enterprise of clothing and fragrance. In 1969, Bloomingdale's featured the designer exclusively through his own in-store boutique, something they had not done before. A few short years later in 1972, Lauren introduced their now classic cotton mesh Polo shirt. In 2008, Lauren's corporation launched a brand called American Living to be sold exclusively at JCPenney. The line went on to be the largest brand launch in the history of Ralph Lauren and JCPenney. In 2015, Lauren stepped down as CEO, but still remains an executive chairman and the Chief Creative Officer. Shop our Ralph Lauren collection here. Calvin Klein began his brand with his childhood friend, Barry K. Schwartz and in 1968, they received their start as Calvin Klein Limited, a coat shop in a New York City hotel. Just a year later, Klein appeared on the cover of Vogue magazine, boosting his career unimaginably. In 1973, Klein became the youngest recipient of the Coty American Fashion Critics' Award for his 74-piece womenswear collection. He went on to win the award two more times in 1974 and 1975. In the early 80s, Klein revolutionized the market for men's underwear and is still well-known to this day with a new My Calvins campaign featuring popular celebrities such as the Kardashians. Shop our Calvin Klein collection here. 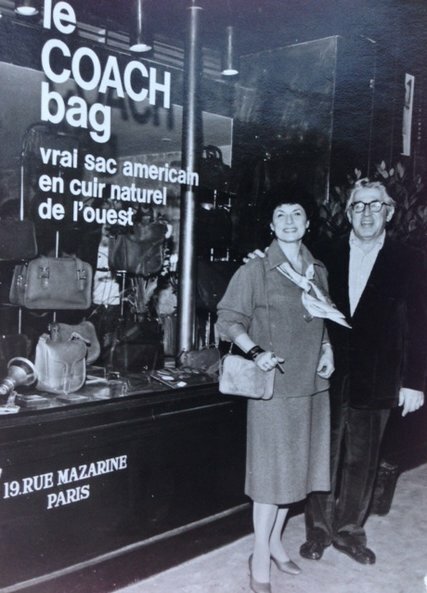 Coach was created by husband and wife team, Lillian and Miles Cahn as a family business in 1941 under the name Manhattan leather Bags. The company was sold in 1985 and the two co-founders then went to a quiet life of goat farming and cheese-making in New York. Today, there are nearly 1,000 Coach stores as well as various boutiques and department stores carrying the brand. Shop our Coach collection here. Guess started as a family-owned company between the Marciano brothers, Georges, Armand, Paul, and Maurice. In 1981, the brothers moved to Los Angeles and opened their first store in Beverly Hills. The name came to be after Georges passed a McDonald's billboard asking drivers to "guess" which chain had the biggest burger. The launch of their store was a hit and sales rose rapidly. Shortly thereafter, the brand began advertising and in 1985, introduced their now classic black-and-white ads which have won numerous awards for its cinematography. Today, Guess is in thousands of stores across the world and the current face of the brand is world-renowned music artist, Jennifer Lopez. Shop our Guess collection here.